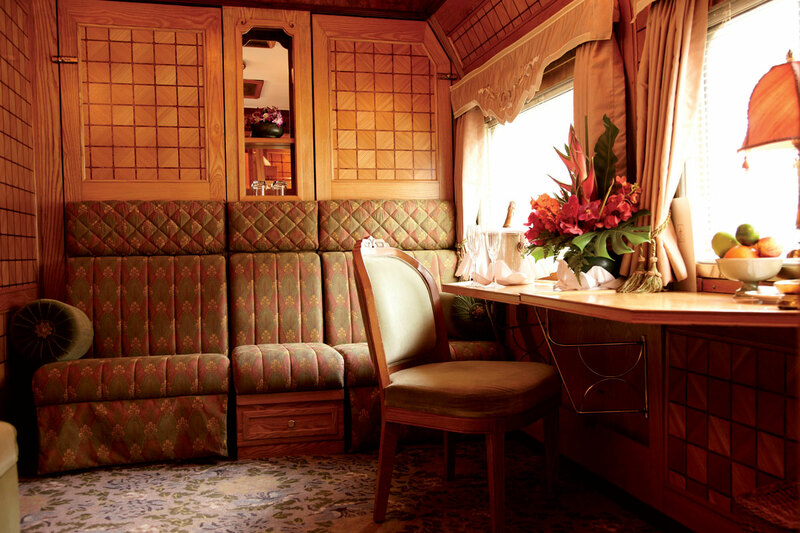 Valentin joined Belmond in 2012 as the train manager of the Eastern & Oriental Express. Recently appointed General Manager, Valentin is very passionate about this iconic train and brings a wealth of experience in the luxury hospitality industry to the role. 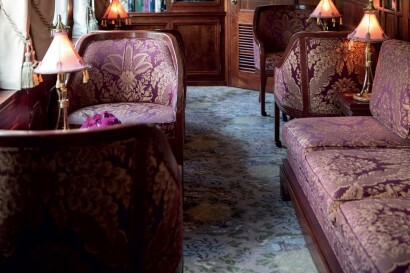 Belmond are connoisseurs in the art of luxury trains, hotels and cruises, curating an iconic portfolio worldwide. We blend enchanting destinations with vintage carriages, immersive excursions with delectable cuisine and ultimate comfort with genuine service. 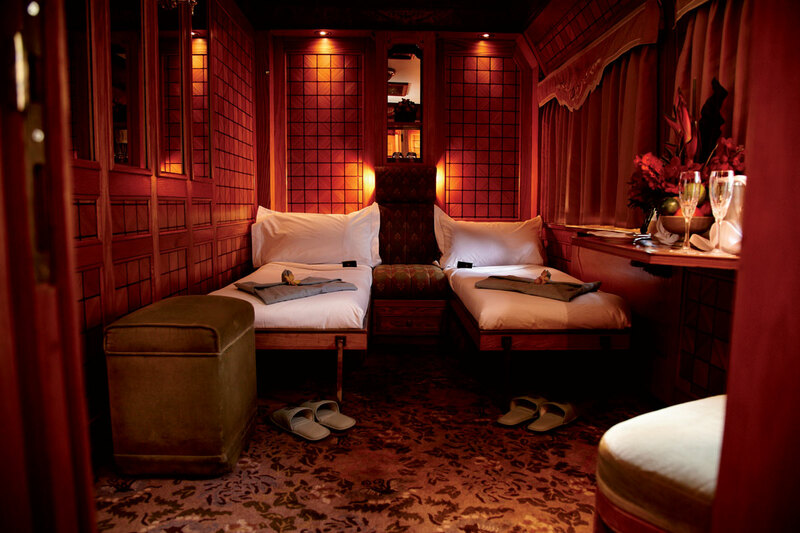 The Eastern & Oriental Express is a jewel in our collection, and offers unparalleled luxury travel in one of the world’s most inspiring regions.  Eastern & Oriental Express was envisaged by James B. Sherwood, Director and Founder of Orient-Express Ltd (now known as Belmond). Originally built by Nippon Sharyo & Hitachi of Japan in 1972, the carriages were remodelled and rebuilt in the Easter & Oriental Express workshops in Singapore, designed by Gerard Gallet with James Park Associates. 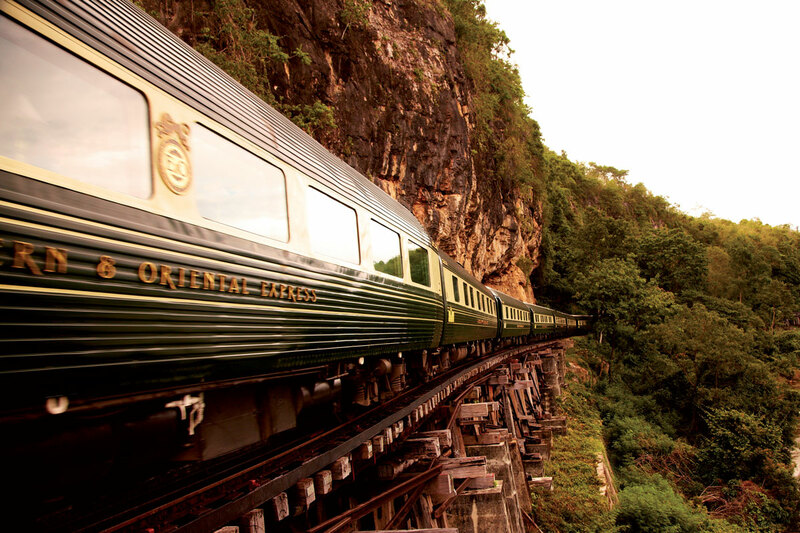 The Eastern & Oriental Express service was launched in 1993 and made history as the first train to travel the whole length of the journey from Singapore to Bangkok. 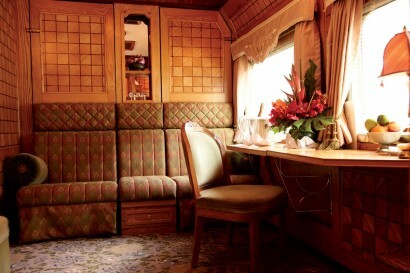 Ever since, the gleaming green and beige carriages have carried guests across this iconic route in unparalleled luxury. 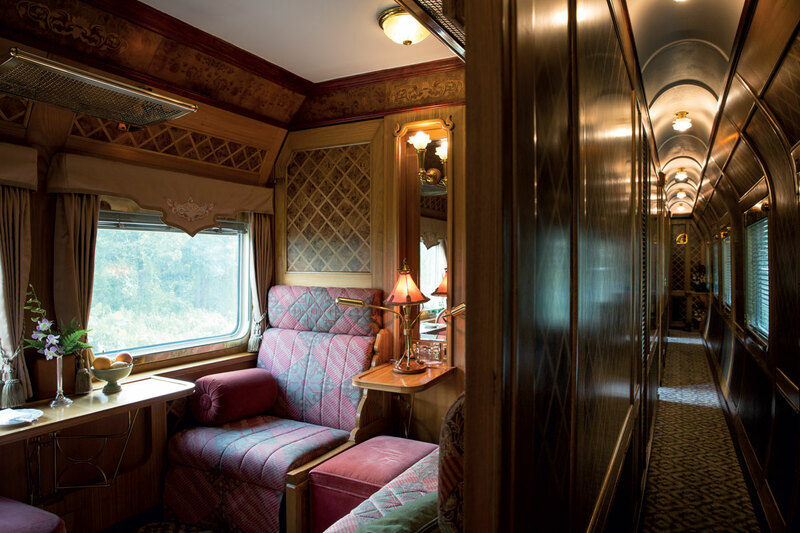 Expert craftsmen have tended to the intricate marquetry and elegant design details during the off-season throughout the train’s history of service, ensuring the exquisite carriages maintain their exotic beauty. 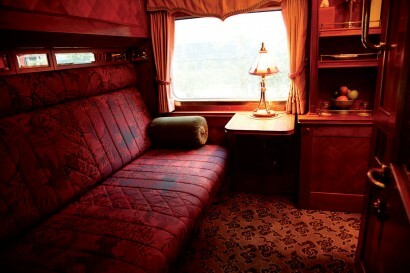 The Eastern & Oriental Express exudes colonial charm as it traverses one of the world’s most iconic rail routes. 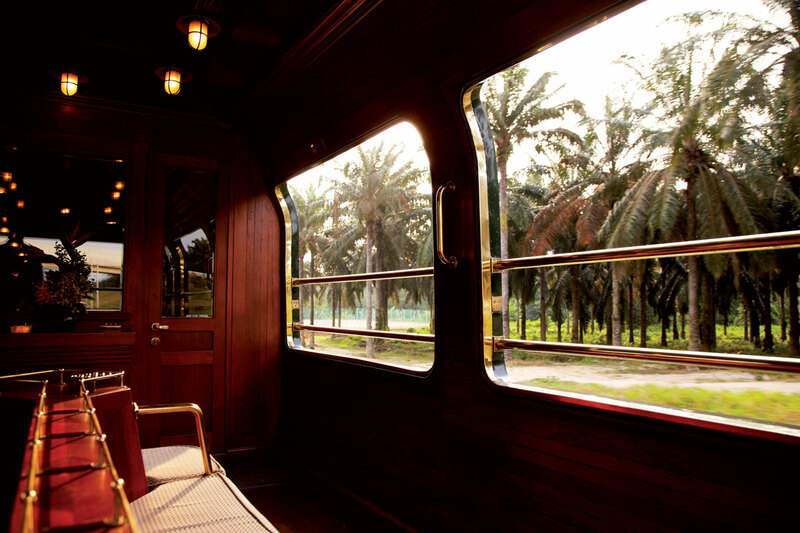 This remarkable train, immaculately appointed and air-conditioned throughout, sweeps guests away to discover meandering rivers and the lush tropical landscape of Southeast Asia.. The train traverses the renowned rail route through Thailand, Malaysia and Singapore. All journeys travel between Bangkok and Singapore encompassing the splendours of the region along the way. Discover a variety of exclusive excursions to remarkable destinations on our journeys. Highlights include a view of the infamous bridge over the River Kwai on a barge cruise or, alternatively, cycling and culinary tours are also available. In Kuala Kangsar a Traditional Village experience is available, where you sample regional food and drink and browse locally produced handicrafts, as well as an adventurous Hill Trek. 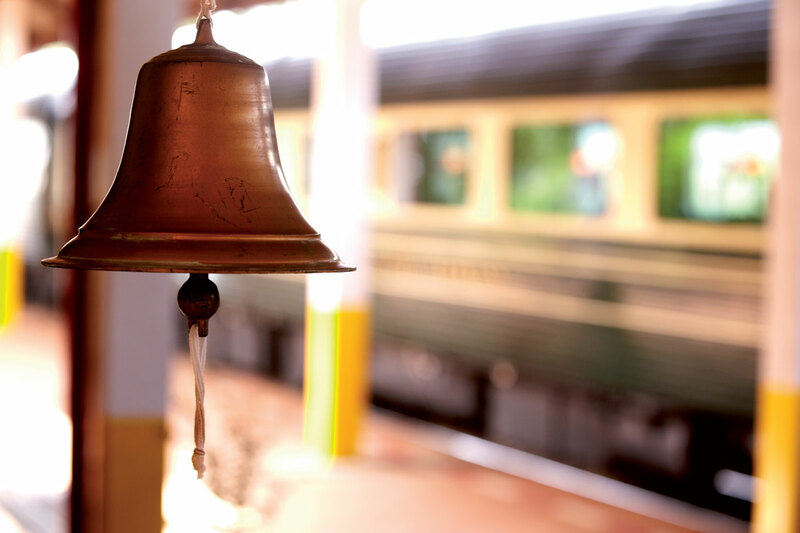 Children are welcome aboard the Eastern & Oriental Express, although our classic journeys between Singapore and Bangkok are a little more suited to younger travellers than our Fables of the Peninsula or New Year’s Eve journeys. Dine in one of our three exquisite Restaurant Cars – ‘Adisorn’, ‘Rosaline’ and ‘Malaya’, two of which join the train for each journey. Decorated in floral motifs, the cars exude the culture of the region. Our Executive Chef creates sumptuous on-board dining using local ingredients and featuring an innovative fusion of eastern and western dishes. 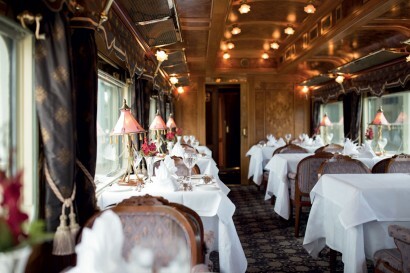 The Eastern & Oriental Express is a truly unique venue for corporate events or special occasions. With a minimum of 12 guests, a party can travel aboard on any of our scheduled itineraries from either Singapore or Bangkok, and we can customise the experience with special activities on or off the train. • The Observation Car at the very end of the train provides refreshments for early risers. The open-air carriage offers the ultimate view of a Southeast Asia sunrise. • The Piano Bar is open all day and late into the night, serving cocktails and liqueurs. 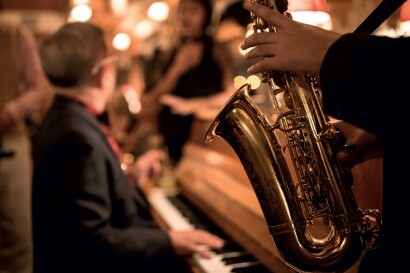 It hosts our resident pianist whose charming tunes serenade our guests, and after dinner local musicians and dancers give mesmerising cultural performances. • Belmond has collaborated with local artists to bring guests closer to contemporary Asian culture. Art and Fashion meet travel as two of the nostalgic carriages receive an artist’s makeover by Thai artist, Somnuek (Parn) Klangnok; with whimsical drawings evoking a sense of fantasy; and celebrating the glamour of travel, Thai fashion designer, Vvon Sugunnasil introduces stylish new uniforms. 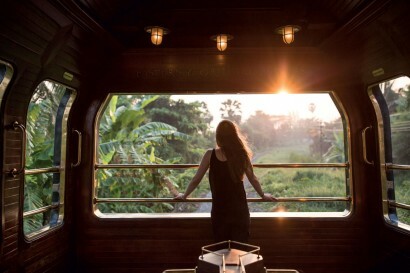 • Our train journeys can be combined with our Belmond Hotels in Thailand, Cambodia, Laos, Bali and Myanmar to create an incredible tour of the region.